Microsoft’s Skype is making it a little easier for you to connect your audio and video calls, opening Skype for Web (beta) to all US and UK users. The company also says that Skype’s web-based video call service is a step towards making “Real-Time-Communications (RTC) on the web a reality”; basically, conversation with virtually no latency. The popularity and simplicity of Google Hangouts could also be motivating Microsoft to create an easier way to access your Skype calls. Undoubtedly, downloading an app has its benefits, like added security and receiving incoming calls, but the convenience of video chatting from the web can’t be ignored. You’re not quite off the download hook yet, though. 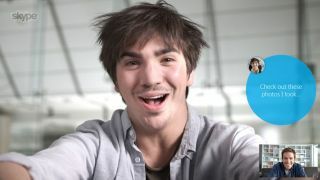 To use Skype for Web you have to download a browser plug-in, but this is much simpler than the app installation process, especially on public computers.